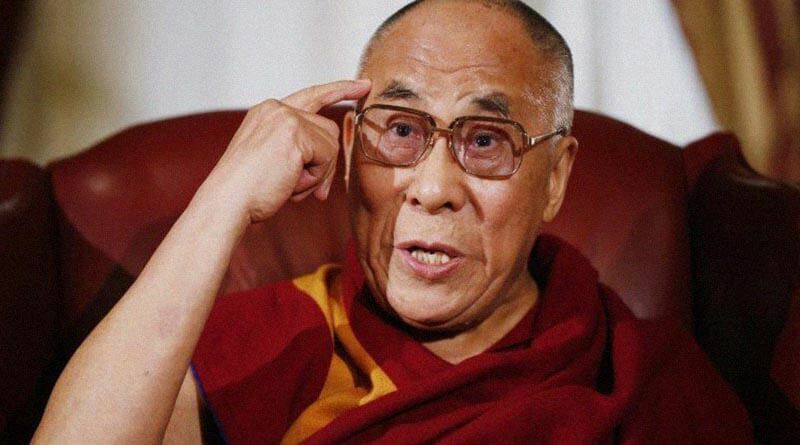 More Hard Hitting Words From The Dalai Lama About The Mass Brainwashing Of Society - ShareIt! The 14th Dalai Lama of Tibet is constantly receiving a lot of attention, and for a very good reason. Not long ago, he announced that the prayer is not the answer to the attacks that keep happening worldwide. According to him, there is no sense in asking God to solve something that we as humans have created. If we created this problem, we should be the ones to solve it. These words virtually went viral and people started thinking about the changes that need to be made in order to go back on the right track. In regard to the Paris attacks and the realities of war, there is an extraordinary piece on Dalai Lama`s website associated with the mass brainwashing on humans. This is something that people often discuss, particularly when it comes to incidents on terrorism. “Of course, war and the large military establishments are the greatest sources of violence in the world. Whether their purpose is defensive or offensive, these vast powerful organizations exist solely to kill human beings. We should think carefully about the reality of war. Most of us have been conditioned to regard military combat as exciting and glamorous – an opportunity for men to prove their competence and courage. Since armies are legal, we feel that war is acceptable; in general, nobody feels that war is criminal or that accepting it is criminal attitude. In fact, we have been brainwashed. War is neither glamorous nor attractive. It is monstrous. Its very nature is one of tragedy and suffering,” he writes. If you stop for a second and think about it, it does make sense. The powerful organizations and the military, “exist solely to kill human beings.” As Dalai Lama notes, we are thought that the military is something we should be proud of. While people do enroll in this service with good intentions and in order to serve their country, they lack the knowledge that this war is nothing but a fabrication. According to Dr. Michel Chossudovsky, the University of Ottawa’s Emeritus Professor of Economics, the war on terrorism relies on fake premises. Soldiers have been brainwashed and led to believe that they are defending their country when the enemy itself is financed and supported by the Western military alliance. As Dalai Lama notes, this is why “we feel that war is acceptable,” as we are led to believe it is a required course of action. “Modern warfare waged primarily with different forms of fire, but we are so conditioned to see it as thrilling that we talk about this or that marvelous weapon as a remarkable piece of technology without remembering that, if it is actually used, it will burn living people. War also strongly resembles a fire in the way it spreads. If one area gets weak, the commanding officer sends in reinforcements. This is throwing live people onto a fire. But because we have been brainwashed to think this way, we do not consider the suffering of individual soldiers. No soldiers want to be wounded or die. None of his loved ones wants any harm to come to him. If one soldier is killed, or maimed for life, at least another five or ten people – his relatives and friends – suffer as well. We should all be horrified by the extent of this tragedy, but we are too confuse,” he adds. The extent of this brainwashing is indeed immense, and if we are going to stop the act of terrorism and war in general, it is the brainwashed soldier who needs to be woken up. It is a soldier being pulling the trigger, it is the human giving the orders to do this, and it is a human being thinking that this is the right thing to do. Humans are the reason why war exists; we created it, we engage in it, and we prolong it. If every human refused to participate in military service and war, everything would dramatically change! Thanks for reading and Share if you Care! ← Stop A Heart Attack In 1 Minute!